Replacing old windows with new, energy-efficient models can really pay off in both aesthetic appeal and utility savings. Consult our guide to help you weigh your window options and figure out which styles and materials will work best for your home. It’s difficult to overstate the importance of windows in home design, not least because they have an impact on both the interior and exterior of a home. And this is one upgrade where it’s important to spring for a well-constructed product. 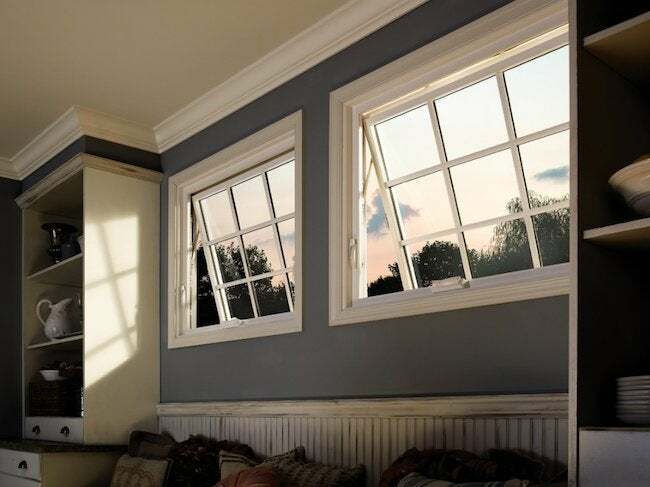 Quality windows carry a higher initial cost and are a considerable investment, but over time they can offer significant payback in terms of improved aesthetics and energy savings. According to AFG Industries, makers of high-performance window glass, energy-efficient windows can reduce the transfer of heat by as much as 65 percent. That means that energy-efficient windows can help your home maintain a comfortable temperature, which translates into a reduction in heating and cooling costs. When you’re shopping for new windows, therefore, the very first thing to look for is the Energy Star label, which can be found on products from all the top manufacturers, including Andersen, Pella, and Marvin. To earn a green certification, a window must meet rigorous government-defined requirements, and for that reason, an Energy Star rating is one of the most informative barometers a homeowner can use to compare different windows on the market. Multiple panes alone offer improved insulation, but modern window glass also features a low-emissivity coating (known as a low-e coating), which “reduces total direct sun rays by 13 percent.” Low-e glass should also reduce your month-to-month energy costs, as it minimizes heat gain in the summer and contains heat in the winter. Keller adds that in multipaned windows, “inert gases often fill the spaces between the panes, providing additional thermal properties.” With each additional pane and layer of gas, the insulation factor notches upward. Better-insulated windows usually come with a higher price tag, but their energy efficiency cuts down monthly utility bills; over the long term, a homeowner can recoup the added expense and may even come out ahead. Also helpful to anyone shopping for new windows are the ratings provided by the National Fenestration Rating Council (NFRC). The council’s ratings differ from Energy Star’s in one important respect: They take into account not only a product’s energy efficiency, but also its ability to withstand extreme weather. Any window that has earned a rating from the NFRC can be expected to perform in temperatures between -20º F to 180º F and in wind speeds up to 155 mph. – Wood: Prized for their aesthetic value, wood-framed windows are sold in a variety of shapes and sizes. If properly maintained, they can enjoy a long life, rewarding energy-conscious homeowners with a high R-value (a measure of thermal resistance). – Wood clad: If one downside of traditional wood-framed windows is their maintenance requirements, vinyl- or aluminum-clad wood windows offer the best of both worlds—that is, the warm appearance of wood on the interior and improved weather resistance on the exterior. – Aluminum: Strong, lightweight, and durable, aluminum windows are considerably less expensive than their wood-framed cousins. The tradeoff between the two is not only one of style, but also of performance: Aluminum is prone to condensation, which can in some cases lead to mold. – Vinyl: A lasting, low-maintenance window material that resists moisture, vinyl costs less than wood, and although it cannot be painted, vinyl windows are available in a wide range of stock colors and a virtually infinite number of custom hues. – Fiberglass composite: Another option for homeowners who want the fine appearance of wood but less of the hassle, fiberglass composite windows excel in extreme conditions. They neither warp nor sag in high heat, neither shrink nor turn brittle in freezing cold. – Composite: Made from a mingling of plastic and organic materials, composite windows are typically strong and energy efficient. If you wish to achieve a specific look and none of the stock colors strike your fancy, custom orders are indeed possible. – Double-hung or single-hung: Both feature two sashes in a single frame, but in a double-hung window, both sashes slide up and down. – Casement: Hinged like a door, this window usually opens from the side, but top-opening casements (with a cranking knob) are also available. – Sliding: Sliding windows operate horizontally along a plastic or metal track. They have two sashes; one or both can be opened and closed. – Awning: Opening outward from a top hinge, awning windows have one panel of glass and typically appear in conjunction with another window style. – Hopper: Basement ventilation is the most common application of hopper windows, which are bottom-hinged and top-opening. – Clerestory: Designed to admit abundant natural light, clerestory windows are usually deployed in a series along the top portion of high walls. – Rotating: Popularly used to frame views, rotating windows boast uninterrupted glass panels that pivot partially open from a central axis. – Arched: Also known as radius windows, arch-topped windows are typically fixed in place but are also available in operable styles. – Bow: Composed of several same-size glass panels assembled into a gentle curve, a bow window projects outward from the wall, rather than sitting flush with it. – Bay: Another protruding window construction, bays combine two angled side windows with one larger central window. Choose a type of window that suits the architectural style of your home, and opt for a size in proportion with the overall structure. Success means symmetry and balance; failure results in an exterior that never looks quite right. At retail showrooms, professionals are on hand to help you make decisions in keeping with your home’s architecture, your individual style sense, and your project budget. 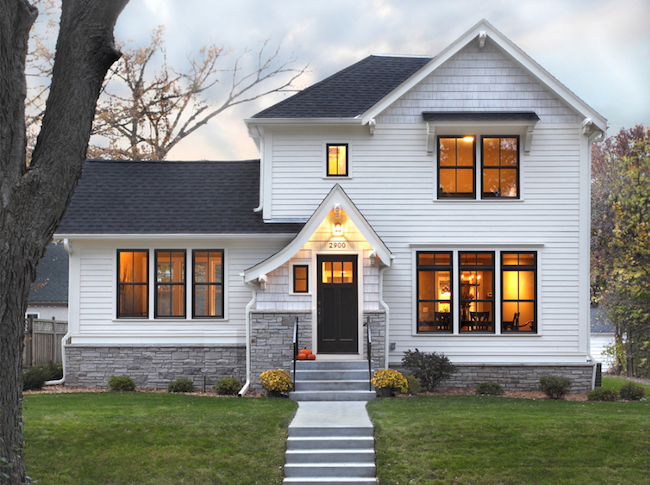 For a custom look that doesn’t cost a fortune, stick with standard windows throughout, splurging on one or two standout designs for windows visible from the curb. Bear in mind that “standard” windows need not look run-of-the-mill. Extraordinary products—including round, arched, octagonal, Gothic, and elliptical windows—figure among the stock offered by mainstream manufacturers. Should you hire a pro or do it yourself?